Left: Previous version. Center: Latest version. Right: Dragging the slider. Allo's audio player now has a scrubber that you can drag to any point in the timeline. If you've ever received a long audio clip from somebody, you'll know exactly why this needed to happen. It's a pretty standard implementation, but it includes a convenient floating bubble above the scrubber to show what time you're currently hovering over. Those of us with Android O installed on a device have yet another app with notification channels to mess with. The latest Allo brings a list of six channels to tweak to your precise preferences, including: Smart Reminders, New in Allo, Messages, Contact Updates, Chat Suggestions, and Uncategorized. 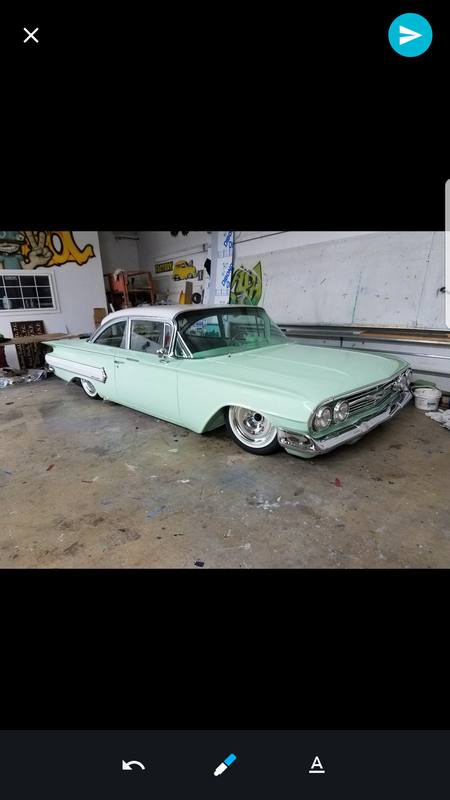 There have been some adjustments to the image editor in the new Allo. For starters you might notice right away that the Undo button has been replaced by a sticker icon. Yes, you can now drop stickers on your pictures and drag them to a perfect spot to add a little character or just cover up a little mistake. The undo button isn't gone, but it has been moved to the drawing screen where it's more applicable. Finally, just a heads-up about a small change in behavior. 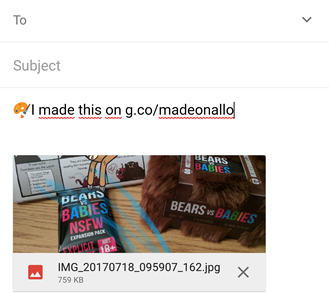 If you share an image from Allo, it will now include the self-promotional tagline pictured above. We all know it's coming, and even with a timeline of a "few more weeks," so there's nothing too revolutionary about the appearance of some evidence in a teardown. Nevertheless, it does seem worth a quick mention that it's here and a note about the couple of details that can be gleaned from the new text. 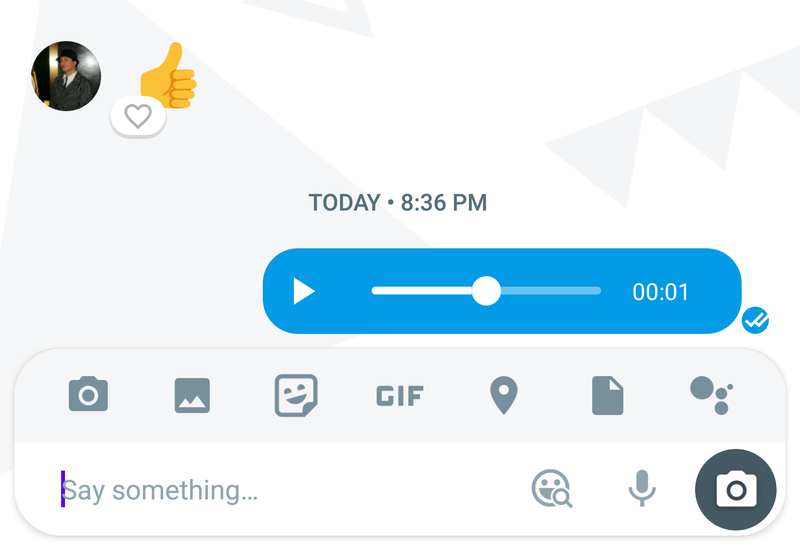 For starters, the address for the web client will be allo.google.com/web. There's nothing at that address right now, but we'll obviously see it when the web client goes live. Judging by a reference to QR codes, it seems plausible that the sign-in process might involve visiting the website where you'll see a code to scan with your phone's camera. This would presumably mean that you'll be able to quickly sign into Allo on a computer or browser that isn't already signed into your Google account. On top of that, the mobile app will include a list of signed-in computers and allow you to sign them out remotely, either one at a time or all at once. The fast login process and remote logout capabilities are probably intended for people that may be using public access machines, which is particularly common in regions of the world where people may rely on a smartphone for most of their technical needs. It makes a lot of sense to be able to stop at a library, a friend's place, or wherever a computer is connected to the Internet and almost immediately start chatting. Then, even if the power goes out, it's possible to remove access for that computer at any time. Language translation is a feature every messenger app should have, and it looks like Allo is about to check that box. There's not a lot of detail here at the moment, but it looks like you'll have to long-press on a message to select it, then pick "Translate" from the overflow menu. There's nothing to suggest Allo will detect different languages and offer to do auto-translation. To be fair, most of us probably aren't having that many conversations that require regular translation, so there probably isn't much need to make it an exceedingly accessible feature. 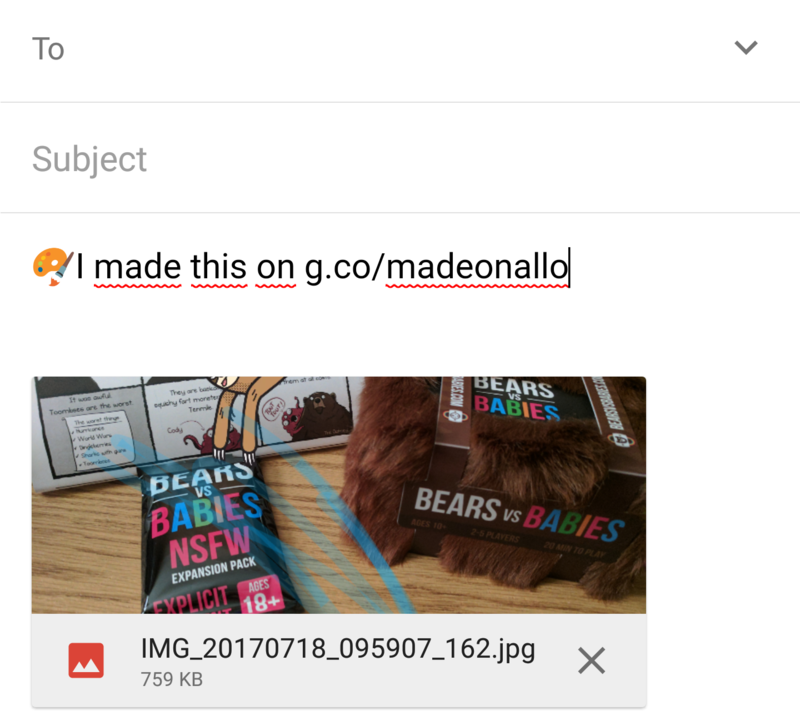 Allo is meant to be fun and spark creativity during a conversation. It seems the same concept applies to selfies that you'll send across during your chats. Allo appears to be getting two camera effects that can be applied to the pictures you're planning to take. The first will apply a zoom while the other can be used to blur out part of the scene. I'm not sure exactly how the interface will work for these, and I can even imagine a couple of ways both features might work, but these do seem like useful tools if you want to send a picture and draw attention to a specific subject or avoid revealing certain things like a person's face. 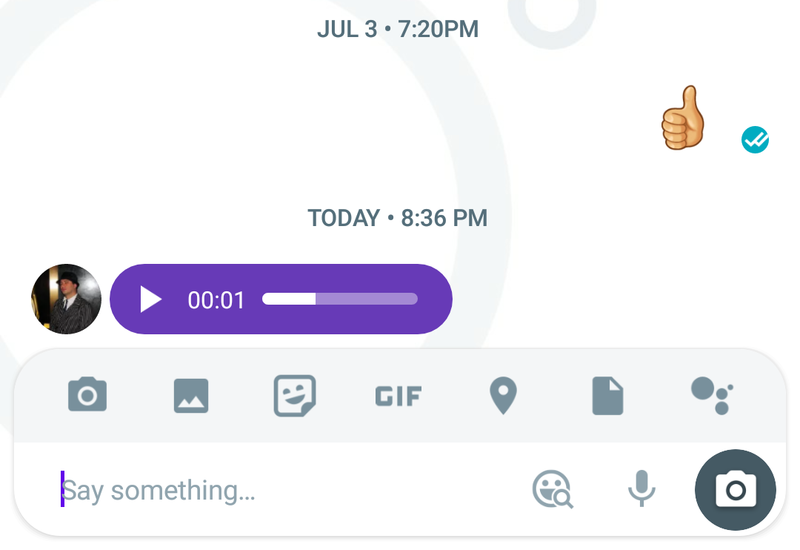 Between custom sticker packs, photos, audio clips, and many other features, Allo isn't the most conservative messenger we've seen. 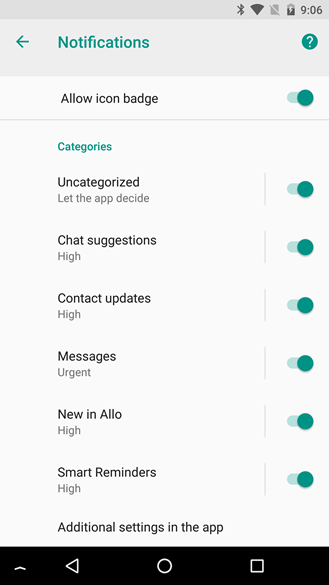 To make it a little easier to see what impact your habits have, Allo will soon add a tracker for data usage. It won't be overly detailed, so don't expect a breakdown by the people you chat with or exactly how many selfies is too many; but you will see how much data was used for messages versus media, and how much went over cellular versus Wi-Fi.